Hi All! Nicky here, calling in from Kitchen Sanctuary with an easy and delicious recipe for smashed potatoes. Soft on the inside, crisp and salty on the outside, and loaded with fresh summer toppings, these potatoes will go with pretty much anything. I love to serve them as a side dish when we have a BBQ (they go particularly well with chicken skewers and a nice big salad). They’re also fab on their own with a nice chilled glass of beer. I can guarantee that when you serve these up, at least one will have mysteriously disappeared on the short journey from the oven to the table! Preheat the oven to 400F and brush a large metal baking tray with 1 tbsp of the vegetable oil. Put to one side. Place the potatoes in a saucepan and cover with cold water. Bring to the boil, then turn down the heat and simmer for 12-15 minutes until the potatoes are cooked through. Drain. Place the potatoes on the prepared baking tray, then squash each one down with the back of a wooden spoon. You want the skin to split and the potatoes to squash down, but not completely break apart. Brush 1 tbsp of oil on the potatoes, pay particular attention to any edges (this will give the edges a nice crunch). Mix the remaining tbsp of oil with the crushed garlic and put to one side to infuse. Sprinkle the salt, pepper and paprika onto the potatoes and place in the oven for 15–20 minutes – until the potatoes are crispy and golden. Then brush the garlic infused oil onto the potatoes and put back into the oven for a further two minutes. 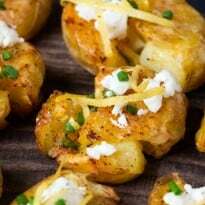 Take the potatoes out of the oven and sprinkle on the crumbled feta, lemon zest, chives and a little more black pepper, then serve. I often make a similar recipe. So good! We did this yesterday!!!! I brush the potatoes with olive oil, add garlic, and that’s it. We like them to get crispy! smashed potatoes are my favorite. I never thought of making them this way, i usually keep it simple with garlic and rosemary, but I’m a sucker for lemon! And cheese. I am going to have to make this delicious recipe with these potatoes. They look so delicious and are easy to make. You have such wonderful recipes on your blog! These sound delicious!! I love feta! I made these a few times and they are good and something different!! My kids love potatoes, I will have to make this for dinner this coming week, they will get a kick out of it! I absolutely love this idea! Sounds delicious! So simple, so yummy, so amazing! Love the idea. Oh yummy! 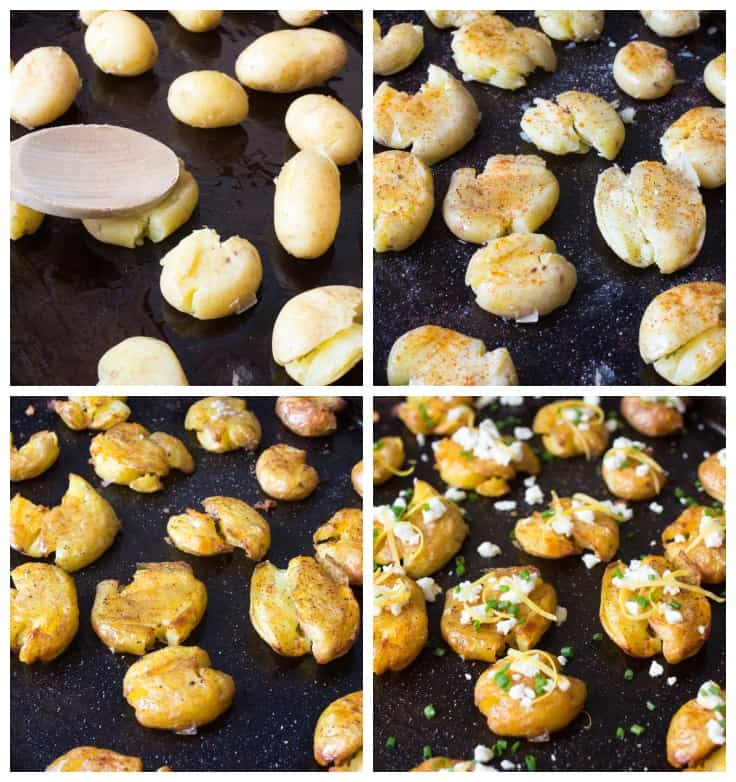 I love potatoes – thanks for sharing. My mouth is seriously watering right now. I love feta! 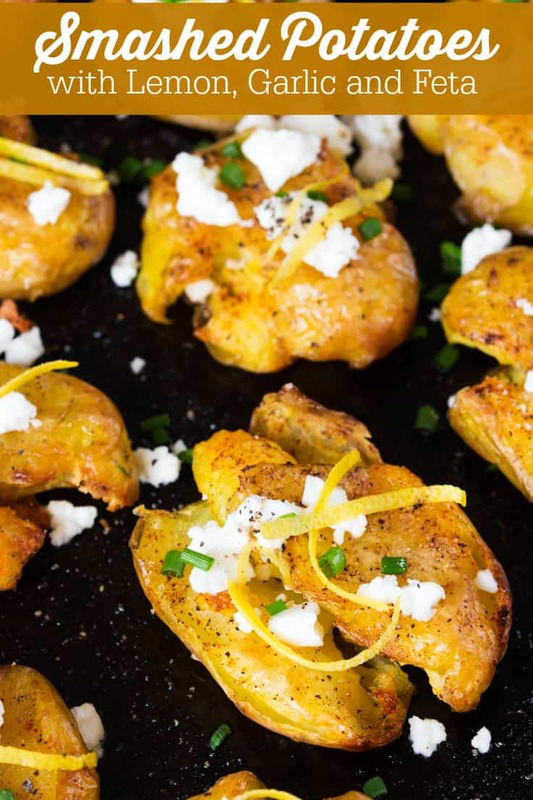 The combo of lemon, garlic and feta sounds like heaven. Love this! So easy and looks so good. Hello! We are visiting from http://www.sincerelyjean.com and saw your post on the Wow Me Wednesday link party. 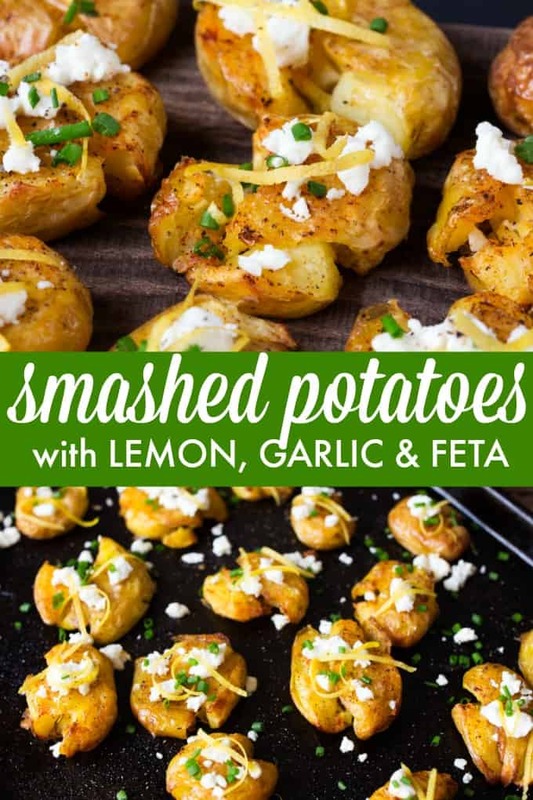 We think your Smashed Potatoes look delicious! 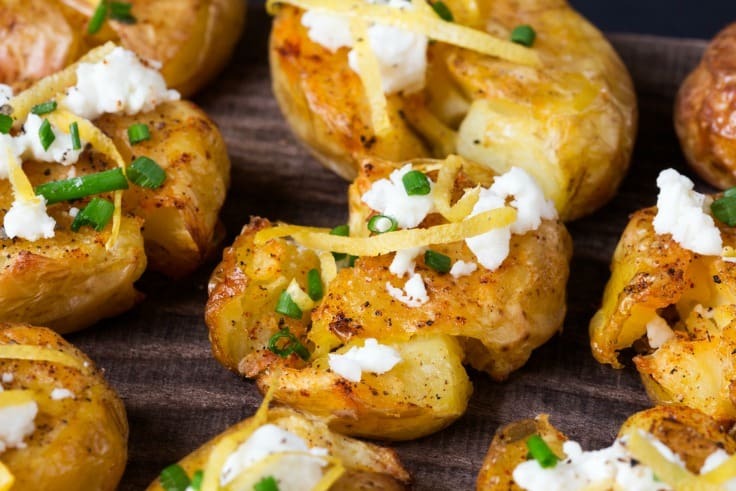 Your Smashed Potatoes look delicious. Hope you are having a fantastic day and we are so excited that you shared your post with Full Plate Thursday. This recipe sounds yummy. Have a terrific week. Very thrilled about this recipe. Thanks a bunch! !